A couple of years ago a dear friend shared with me some very valuable advice: Every morning on the way to school she told her children exactly what she expected of them that day. She found her kids responded very well to this, and almost always rose to the expectation. Instantly I began using this almost everywhere we would go; play dates, extended family dinners, holiday parties, birthday parties, etc. I would, and still do, instruct my kids to use their manners, thank the hosts, think of a compliment, and to respect other people’s houses and toys. I always make it clear that it is an honor to be invited. If we behave we often are invited back. But if not, then we risk never being invited again. I even use this technique when going to the grocery store and running other errands. Each place we go has slightly different rules, but I believe it is important to begin trying to guide my children on what is acceptable in these settings. By telling them ahead of time, it allows them to prepare for the setting without already being distracted. An example is at the playground – If I wait until we arrive to tell them to please stay with me, they are probably already running towards the monkey bars without ever hearing anything I just said. But, by telling them in the car on the way there what is acceptable and not, they can walk onto the playground knowing exactly how to behave. Other than a few embarrassing moments, or the occasional toddler melt down, I can honestly say my kids usually do very well in public – sometimes even better than they behave at home! As our daughter started kindergarten a few years ago, I began implementing this expectation technique as well. I tried every morning to tell her what I expected; listen to your teacher, be nice to the other children, and learn something new. A few months into the school year my daughter came home one day in tears. She is very good at art, she’s athletic, and she knows more animal facts than anyone I know, but she is not a strong reader. On this particular day another girl in her class made fun of her for not knowing as many words as she did. My sweet, super sensitive little girl who has a heart of gold, and who truly loves to make others happy, was crushed. It took everything in me to not break down with her and to not say something that I might later regret. After I got her calmed down and acknowledged her feelings, I asked what we could learn from this? Together we agreed that the hurt and yucky feelings she felt were definitely not anything she ever wanted to make anyone else ever feel. We talked about how lucky she is that she has so many other wonderful friends that make her feel good. I told her to think about the type of people she likes to be around, and then to be like that to others – especially those with fewer friends. So, the next morning on our way to school, I told her my expectations as usual, but then I added a challenge – to give a compliment to someone in the class that is not as popular. That afternoon when I picked her up she reported on her new task and how happy it made the other person. And making them feel happy made her feel good too. So we continued this. 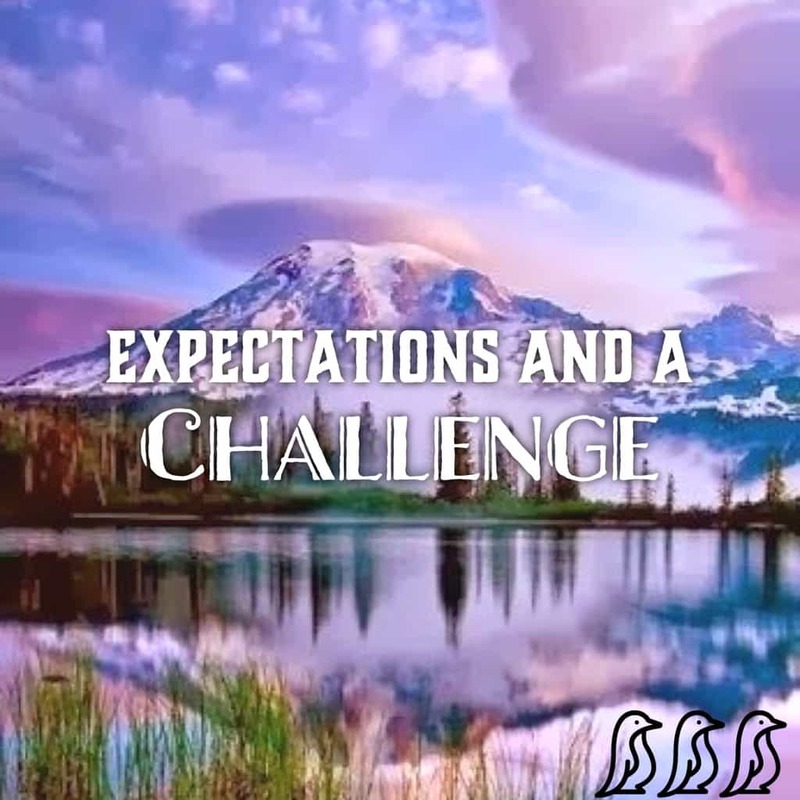 Each morning on our way to school we reviewed her expectations and came up with a new challenge. I suggested she play only games another friend wanted to play, find someone lonely at lunch to sit with, make a new friend, and so on. For the remainder of the school year this continued, and she was always excited to tell me the difference she made for someone, no matter how big or small. Now I’m not saying I’m the perfect mom, or that I have the perfect kids. They still act up at times, and I fail at my job often. But I do believe there is more to school or life than good grades and perfect attendance. I believe in respect, manners and good people skills. I believe in making other’s feel good when they are around you, and treating other’s the way you want to be treated. Even though we do not have it all figured out all of the time, I hope that when we look back at each year we can honestly say that we have improved in some way. Or even better, in many ways! And in order to do this we need to keep learning those life lessons – those expectations, and challenging ourselves in new ways.